Asia Euro pharmaceutical company and International Medical Consultants Company: Great minds think alike, create the futureFounded on 23/11/2005, Asia Euro pharmaceutical company always desire to bring the highest quality products made from herbs, the quintessence from nature, to customers. During the process of formation and development, Asia Euro pharmaceutical company has gained many outstanding achievements and won the trust of consumers. In that development journey, Asia Euro pharmaceutical company always has a companion- a reliable partner which is International Medical Consultants Company (IMC). In the pharmacy market, Asia Euro pharmaceutical company was considered as a company having a rapid and sustainable development. From the early days of establishment, Asia Euro pharmaceutical company has clearly defined the goal of becoming a leading, reputable and professional marketing company in Vietnam selling the products of natural origin with high purity and safety and bring persistent efficacy to consumers. With the guidelines: “Bring the trust and health to customers”, Asia Euro pharmaceutical company always tend to high-quality products, helping to care about the community’s health. All products distributed by Asia Euro pharmaceutical company has affirmed its prestige by many scientific conferences and researches. After 13 years of establishment and development, Asia Euro pharmaceutical company has marketed 21 products suitable for all ages and customers’ demands. Currently, the drugstore system selling products of Asia Euro pharmaceutical company has covered more than 60 provinces and cities nationwide, and tends to reach out to the world. Since the time of establishment, Asia Euro pharmaceutical company and International Medical Consultants Company have determined the way and goal of operating in a professional, specialized and intensive way to help each party focus on completing its role and mission. International Medical Consultants Company specializes in finding clean materials, performing scientific research and manufacturing perfect and high-quality products. High-quality products researched and produced by IMC will help Asia Euro pharmaceutical company provide a stable foundation for marketing it to consumers. Asia Euro pharmaceutical company specializes in marketing and distributing the products manufactured by IMC, implementing market development strategy, building product-brands, increasing sales, bringing quality products to consumers. At the same time, products with high consumption will help to create jobs for staff and employees, thereby increasing overall sales of both companies. Therefore, it can be said that Asia Euro pharmaceutical company and International Medical Consultants company have a close-knit, mutual support relationship tending toward the goal of mutual development bringing real benefits to the community. In 2005, the birth of Nga Phu Khang, which help to support the treatment of ovarian cysts and uterine fibroids, marked the beginning step of Asia Euro pharmaceutical company. In the “toddler period”, Asia Euro pharmaceutical company received the efficient support of International Medical Consultants Company. – In 2006: After 1 year of establishment, International Medical Consultants Company and Asia Euro pharmaceutical company continued to produce Nattospes which helps to treat and prevent cerebrovascular accidents and its sequelae. 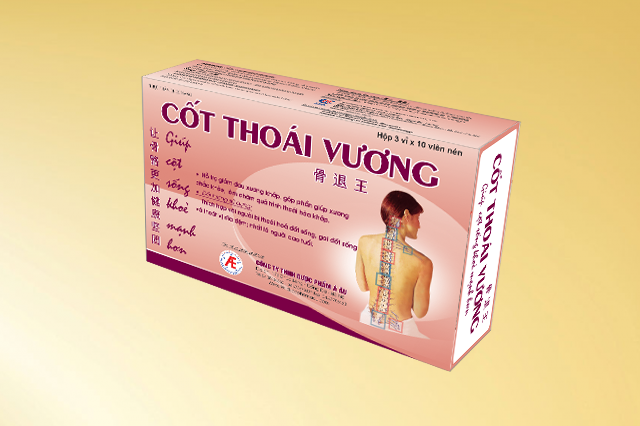 – In 2008: International Medical Consultants Companyand Asia Euro pharmaceutical company cooperated to launched Hoang Thong Phong – the product for people suffering from gout, hyperuricemia and Cot Thoai Vuong – the product that helps support the treatment of the degenerative spine, spondylosis, herniated disc. – In 2010: On the momentum of development, in 2010, Asia Euro pharmaceutical company continued to market Tieu Khiet Thanh manufactured by IMC, exclusively used for people who are hoarse, obmutescence; and Ich Than Vuong which helps to support treatment and prevention of kidney failure as well as kidney diseases such as kidney stones, glomerulonephritis, ..
– In 2015: Realizing the demand of women in skincare, Asia Euro pharmaceutical company and InternationalMedical Consultants Company produced and marketed Babolica in oral tablet form which was used for skin aging such as stretch marks, skin pigmentation. ..
– 2016 is the year marking the birth of Nutridentiz, a dental solution to help “Healthy gums and strong teeth- Blow bad breath”, Phu lac Cao EX used for cases of dysmenorrhea, endometriosis, and Eczestop- the product for people suffering from eczema. In 2017: The birth of two products helping to stabilize blood pressure for people with hyperlipidemia, Đinh Ap Vuong and Lipidcleanz, affirmed the cooperation relationship between Asia Euro pharmaceutical company and International Medical Consultants Company. For many years, Asia Euro pharmaceutical company and International Medical Consultants Company have had the same mission of bringing safe and natural origin products to Vietnamese people. With these achieved successes, it can be affirmed that, on the upcoming development path, International Medical Consultants Company will still be a reliable partner and companion of Asia Euro pharmaceutical company. Hopefully, both companies will make new achievements in research, production, marketing to bringing more prestigious and high-quality products for protection of consumers’ health, and continue to solidify belief for the community about natural.products.